Can one simple action bring out the best in you? Is it the person that you left far behind? Yesterday, I felt like I was walking on a cloud. Why you ask? Well, the reasoning is huge in regards to self growth. 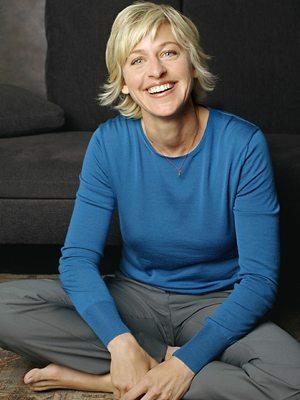 Two nights ago, I found out that Ellen DeGeneres was coming to Toronto. I have been contemplating creating a video, all dolled up, doing silly things on the street, and possibly have it completely scripted. The reason being is that last year I promised myself I’d pursue her in order to write for TIFF. Well I got lazy and caught up in my canned little mother’s world and I didn’t do it. I kept putting it off due to fear. Anyway, Ellen coming to Toronto was a wake up call to action. I always believe that if there is a subliminal call to action, then it’s time to take action! So I grabbed my Blackberry Playbook and off I went into the most secluded place in the house; The Sunroom. I flipped out a few papers to make silly signs and started recording. My video was totally impromptu (and very raw) but it brought out something I haven’t seen in a long time; the Real Me! The girl that I was when I wasn’t afraid of what people thought of me. The Real Me that I can’t be during my work day. After completing my video, I didn’t even give it a second thought as I uploaded it to YouTube and posted my shenanigans to the world. Yes, we all think differently about what’s expected out of our friends and family. However, we have to start realizing that, whatever they choose to do and however they choose to act, this is their true self-shining through. The most amazing part is that they are at their very best and very happiest at that time! Admit it or not. For me, all it took to get me out of my doldrums was a silly impromptu video made for Ellen DeGeneres and booking my hotel to the Toronto Film Festival. I felt so good about me on the inside yesterday, I watched my eating, I walked, and I took a swim. Talk about a balance of mind and body! So the next time you receive an impromptu call of action to bring out the real you, will you accept the challenge or shy away? I think you should “Just Do It”. There are way too many people living by the rules of expectations and so few that don’t allow their brightness to shine through! Happy Friday….do the happy dance without the win! Previous Previous post: Ellen, We Want You to Experience TIFF Through Us!